This cover was salvaged from the wreck of the SS Germania, a steamer of the Hamburg American Line (HAPAG), which was wrecked near Cape Race, Newfoundland on the night of 7 August 1869. 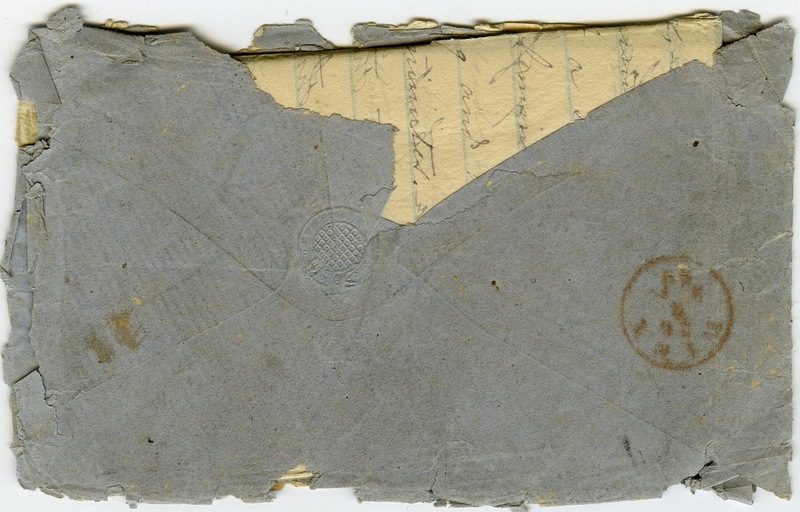 All 270 passengers, 120 crewmen and the mail were saved having gone ashore in Trepassey Bay and transported to St John’s before being taken on board by the steamer Cimbria on 14 August to continue their journeys. The ship was headed for Plymouth, Cherbourg and Hamburg from New York. 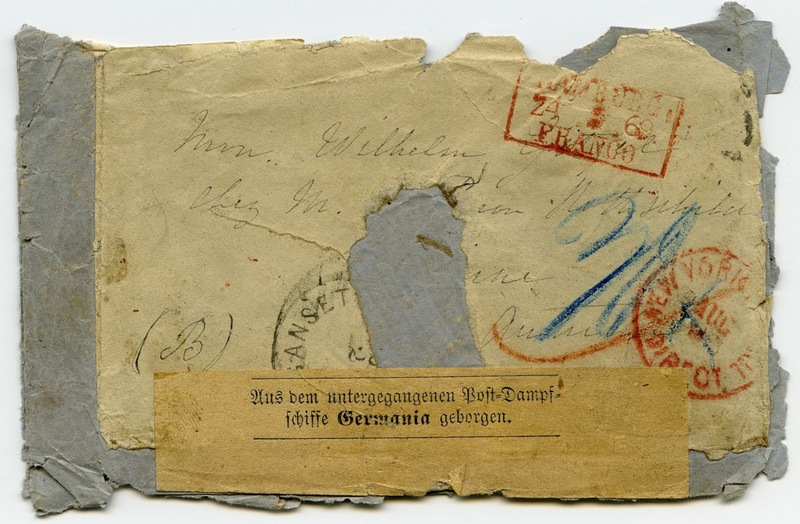 This cover posted in New York on 3 August and addressed to Austria, received a boxed HAMBURG transit mark in red. A German salvage label was added there. As few as six covers are now known from this wreck.